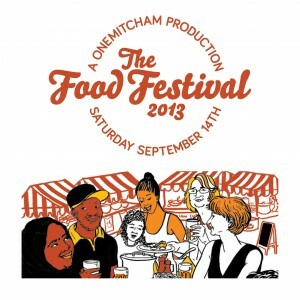 TINATA is proud to collaborate with OneMitcham project on Mitcham’s Food Festival 2013! TINATA was asked to organise something for the festival and we decided to ask all local residents for help! Inspiring local food lovers have run free cooking demonstration to teach some yummy traditional recipes to other locals. On the day of the Festival people could assist to the preparation of the food, help out with the making and enjoy it all together at the table. All made by Mitcham people! A community based treasure hunt send participants to the discovery of local shops and some delicious lavender shortbread biscuits reminded everyone of how Mitcham must have smelled like many years ago.